After 112 years, Leyton Orient football club probably had their saddest day ever when they were finally relegated after going down 3-0 to Crewe Alexandra. A tragic scenario for such a wonderful little club who have spiraled into the depths of despair in the last 3 years. Despite grimly hanging on to their league status over the Easter period Saturday 22nd April 2017 will go down as a depressing day in their history. After a dismal 2017 it was only a matter of time until the towel was thrown in, with unpaid staff, kids being thrown in the deep end on the pitch and 5 managers in one season. For Crewe they will be breathing a massive sigh of relief as this win means they are safe and will play League 2 football next year. For the O’s the future is bleak, facing National League football next season is only the start of their problems, the end of their problems is their Italian Chairman and owner Francesco Becchetti. The quicker this man departs from the club the better. As for the match itself with Orient again playing the youngsters it was Alexandra that dominated from the start, with Callum Ainley steering in from close range to put the hosts in front after 28 minutes as Callum Cooke was allowed too much time on the left by Michael Clark and crossed in for Ainley, who back heeled into the corner. 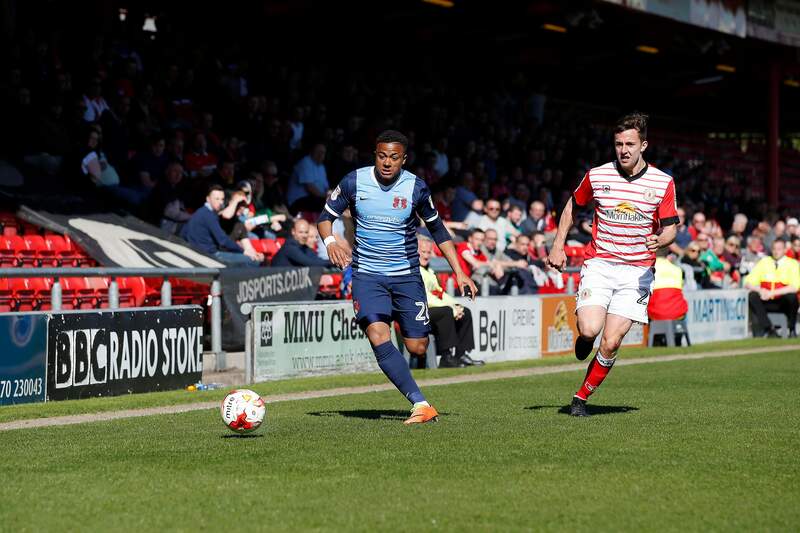 It was another poor goal for Orient to concede, yet nothing more than the hosts had deserved at Gresty Road and 2 minutes later it was 2-0 and more trouble for Orient. 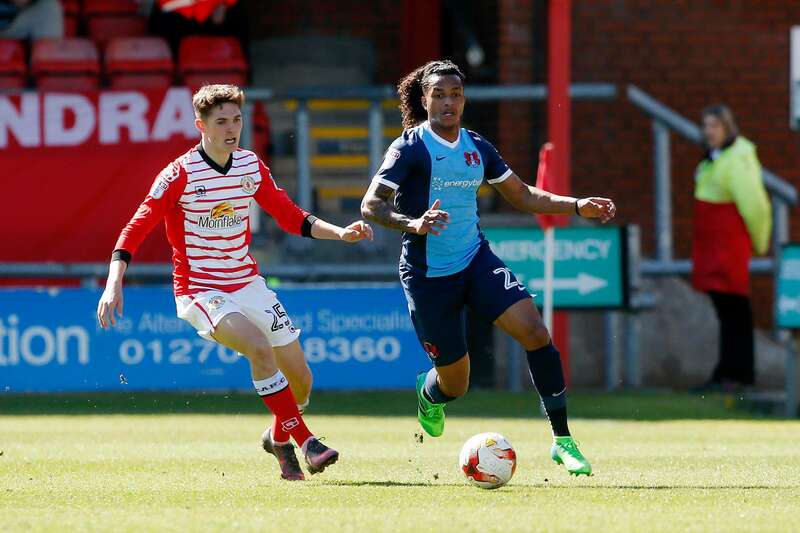 With 30 minutes played at Gresty Road, Orient were heading for relegation after 112 years in the Football League. Six minutes before half time and the O’s nearly conceded another when Crewe took a free kick quickly. Dagnall crossed in and Perry Ng was about to shoot before Parkes produced a brilliant tackle to deny the defender. Crewe kept the ball alive and it came to Dagnall at the back post, but Sargeant blocked his effort and it stayed 2-0. But not for long. A minute of stoppage time was added on at the end of the first half and it was enough time for the Railwaymen to add another as Cooper picked up the ball around 25 yards out and with time and space lashed low and into the corner past Sargeant. Riza made a double substitution at the break with Paul McCallum and Josh Koroma coming on but it made little difference as the game was done and dusted by that point. Once again it was all over as a match before the break. One telling stat was that Crewe had 25 attempts in the game while Orient had just 2. That just about sums it up really. Crewe could have scored half a dozen and that’s being conservative. In fact Crewe were on a pretty dismal run of their own coming into the game with this their first win in 5 games. As well as being relegated, to rub salt into their gaping infested wounds Leyton Orient will definitely finish bottom after Newport beat Accrington Stanley by a goal to nil. Just under three years ago, Leyton Orient were on the brink of promotion to the Championship, before falling to a 4-3 defeat on penalties in the League One play-off final. Relegation followed one season later, but this campaign represents a new low for one of the English Football League’s oldest clubs. As well as the never ending managerial uncertainty, the O’s are in major danger of going out of business, lock, stock and barrel according to the legal adviser to their fans’ trust. Owner Francesco Becchetti has been given until 12 June to pay off debts or sell the club. Staff have still not been paid their March wages, and club employees have said they are constantly worried and hugely concerned by a lack of communication from the Orient hierarchy. Results on the pitch have been poor throughout the season, with the club having both the worst attacking and worst defensive record in the division. The defeat at Crewe was their 28th loss of the season and leaves them facing a dubious future in the National League and the team went down like a shot dog in the dark in this game. The team Orient put out at Crewe contained eight players aged 20 or younger due to chairman Francesco Becchetti dismantling the squad throughout the season. Several experienced players have departed Brisbane Road since August and were never replaced leaving the kids in the youth team to pick up the pieces. Orient have lost their fight on the pitch, but attention will now turn to off it and the supporters won’t give up until there is a change of ownership. Riza was without vice-captain Liam Kelly due to a grade one calf tear, which was a huge blow for O’s. 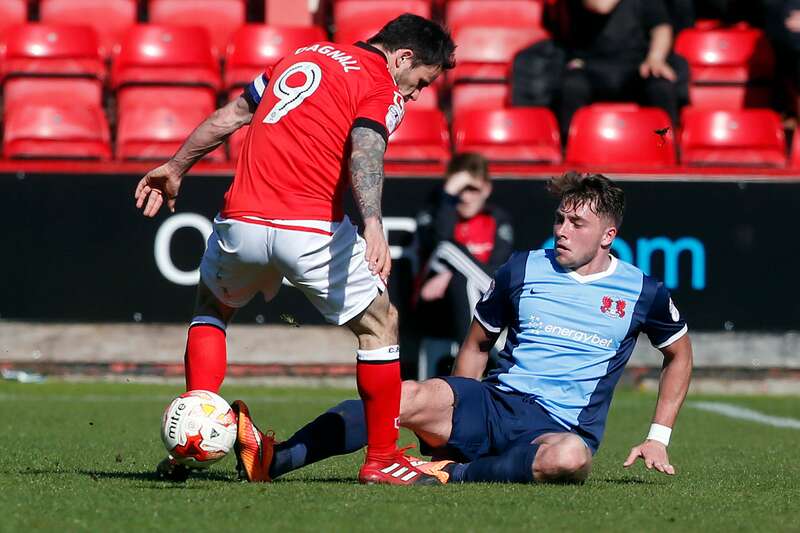 The ex-Oldham Athletic skipper had been immense for Orient in recent weeks and his absence was likely to be sorely felt in Crewe. As a result of Kelly’s injury, Teddy Mezague moved into midfield and Tom Parkes was back after his three-match ban. Once again and hardly surprising given the circumstances the Orient supporters continued to back the team and also chant for Becchetti to leave the club and were joined by Crewe’s fans. The sad part was that Orient had their first shot on target on the stroke of full time, as Alzate’s 30 yard effort was comfortably saved by Ben Garratt. It was almost the last kick of the match and after two minutes of stoppage time, O’s stay in the Football League was over. With two games to go, Orient had officially been relegated and the 407 loyal supporters that turned up in a crowd of 3,745 certainly don’t deserve that. Becchetti has left the club like a carcass and he needs to go and he needs to go now. Brighton, who were promoted to the Premier League last week prove how a club can go from the worst case scenario of almost going out of business to surviving and making the Premiership. It took them 20 years to the day and I think any Orient fan would want to be in that position now. You can’t blame the fans, the players or the managers this season, just the owner, and this is one of the saddest articles I’ve ever had to write.